Shampoo brushes. The stiff bristles clean dirt from deep within your carpet. Nap lifters. These plastic teethed brushes lift dirt from deep within the carpet before shampooing. 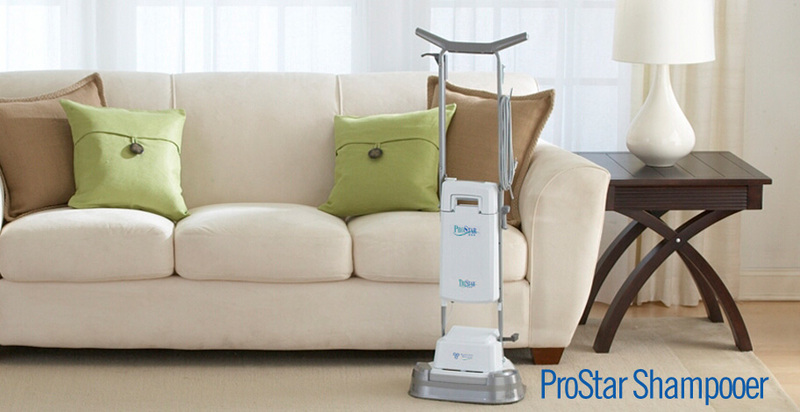 Use again after shampooing to aid in the drying process and to lift carpet fibers, restoring the carpet's beauty. Healthy Home Shampoo. This quick-foaming, fast-drying shampoo quickly cleans carpets and rugs. Scrub brushes. The natural stiff fibers are tough enough for hard stains, but gentle enough for all your hard surfaces, including hardwood, tile, terrazzo, and stone. Green scrub pads. These pads are used for wax removal on hard surface floors, except for hardwood and no wax floors. Buffing pads. 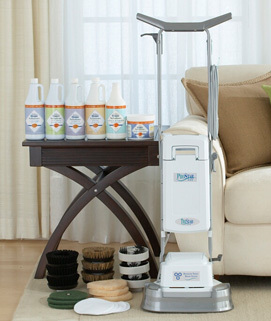 Used in conjunction with the scrub brushes or green scrub, the lamb's wool pads buff and shine your hard surface floors.